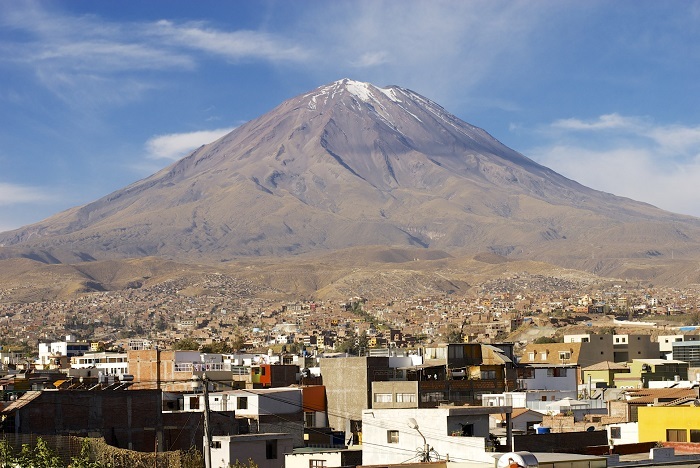 Misti, also known as Putina or Guagua Putina, is an active, symmetrical high stratovolcano that is located in the vicinity of the city of Arequipa, within the southern part of the Republic of Peru. 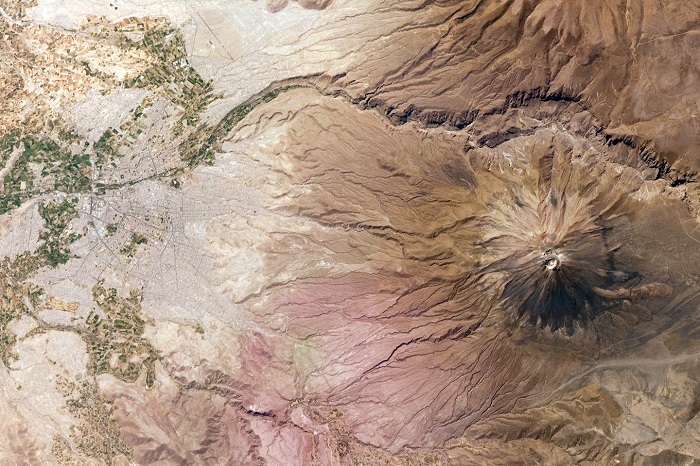 Standing with a height of about 5,822 meters (19,101 feet) above the sea, it is a unique volcano as it contains three concentric craters, in addition to the active fumaroles in the inner crater. 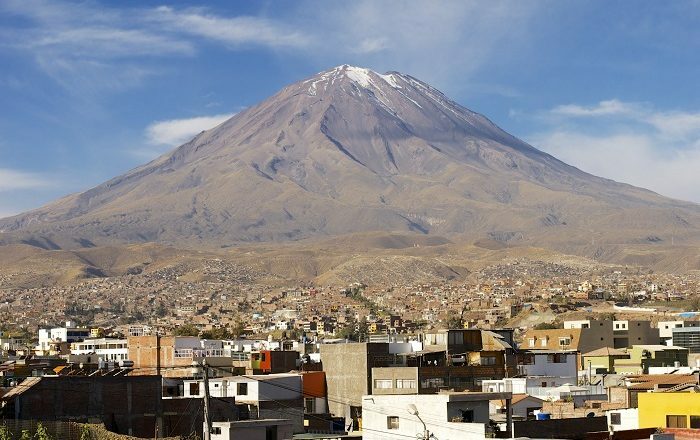 The cone is snow-capped during the winter months and it is thought to have had religious significance for the Incas who lived here before the Spanish conquests, since it inspired quite the legends and poetry. 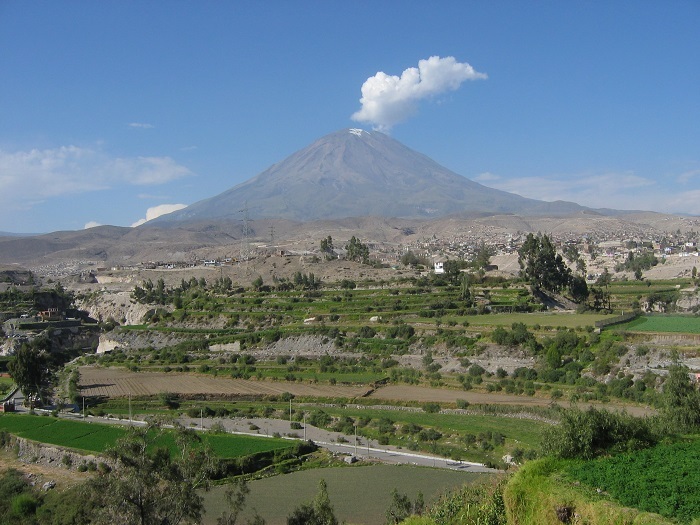 As a matter in fact, during an archaeological surveys in 1998, the archaeologists Johan Reinhard and Jose Antonio Chavez found six Inca mummies and rare Inca artifacts. 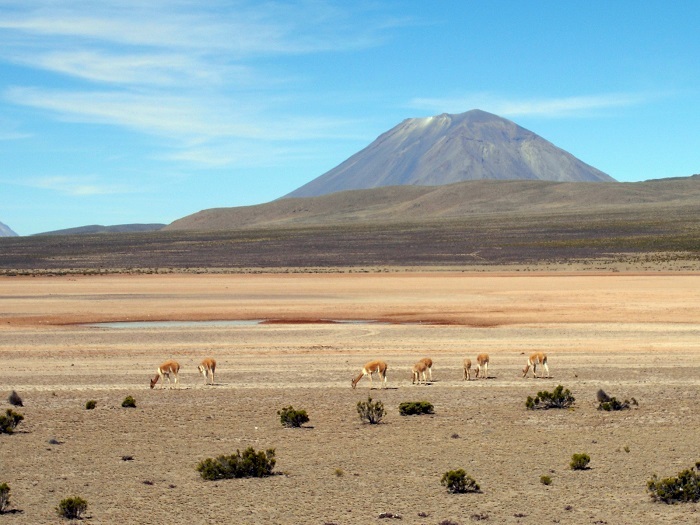 As the mountain is mostly composed of andesite, dacite and rhyolite, the surrounding plains are very fertile and good for agricultural activities, due to the eruptions it had in the past. 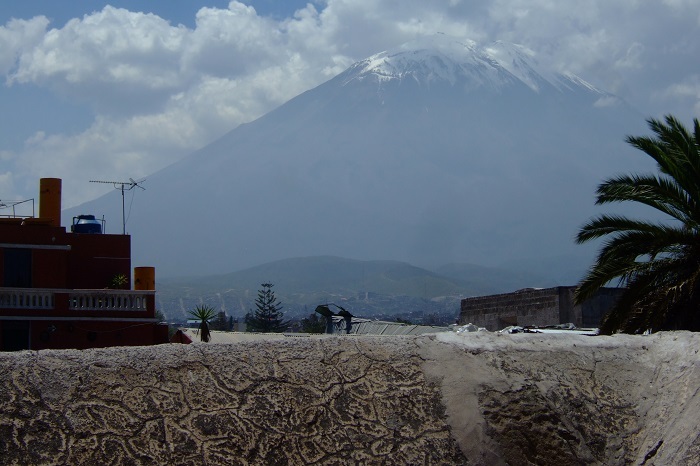 Nowadays, the mountain’s top has sometimes gas clouds which are gashing from it, and as it can be seen from far away, every visitor of Arequipa is motivated to come and “conquer” this magnificent mountain. 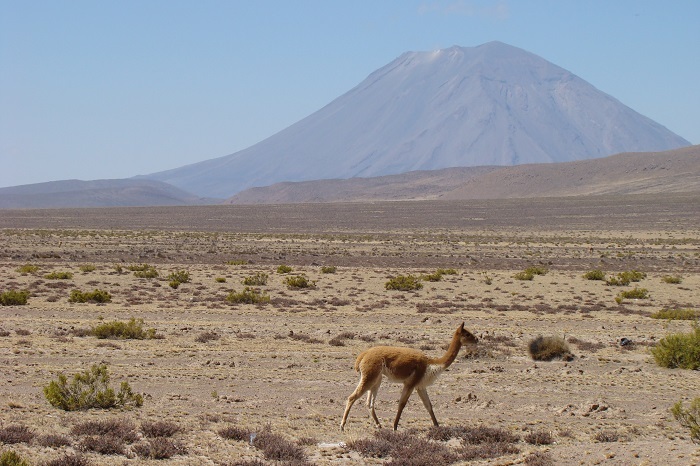 Because of the acclimatization issues, it can take at least two days to climb to the top, while the low levels of oxygen at the top of Misti are not allowing the number of conquerors who actually make the summit to be very high. 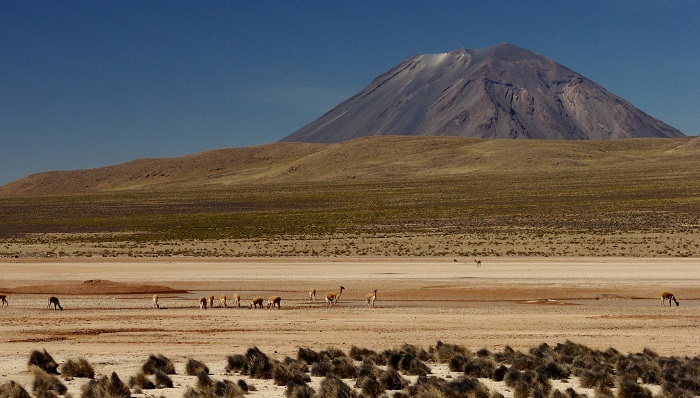 With two main routes to reach the top, the Pastores and Aguada Blanca, they are considered to be easy with no technical difficulties, although both are considered strenuous due to the sand slopes that are loose. 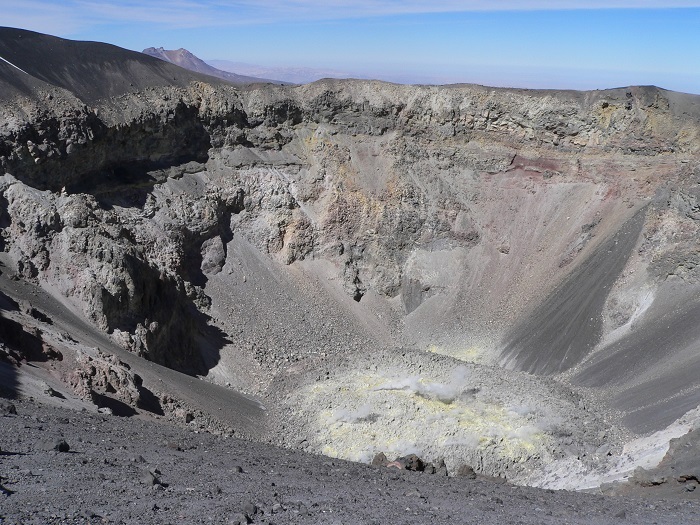 The eruptive history of Misti is somewhat scarce, with the last significantly known eruption to have occurred in 1985, and previously the volcano erupted in 1787. 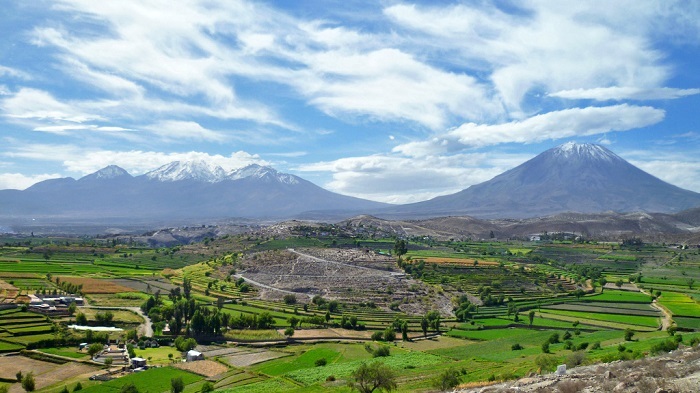 In conclusion, always being taken for granted by Arequipa visitors, Misti is a volcano which promises to give adventurous experience for every climber and hiker who is eager enough to get up close to somewhat active volcanic crater which can erupt whenever it wants.